My little buddy, Jorden, and I watch a lot of sporting events together. The Pittsburgh Pirates, Pittsburgh Steelers, and Pgh Penguins are his favorites. We also watch a lot of hometown sports, like; high school wrestling, weight lifting, parkour, powerlifting, competition workouts, rock climbing, olympic gymnastics and more! My favorites are the reality shows though, like American Ninja Warrior. One thing that we pay close attention to is what and how the equipment of each athlete, show, and/or event is used. It allows us to improve on our own athletic performances. One thing I watch for is how gloves, sprays, hand chalk, and tape (like Ape Tape) are used. I think it is because I have neuropathy in my fingers, due to Multiple Sclerosis (MS), that I look for this type of assistance. A big surprise for me was to learn competitors in American Ninja Warrior must be barehanded and may not put anything on their hands, including; gloves, spray, chalk or tape! A violation of this rule will result in disqualification. 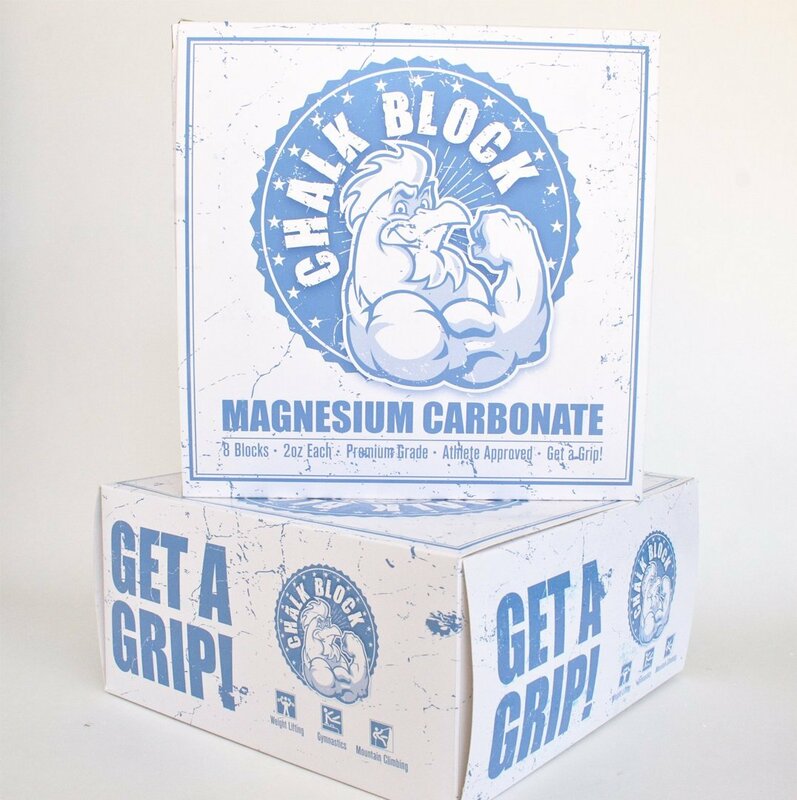 With the amount of sweat and water involved on this course they should have a chalk block at every station! I like using a chalk block during my physical therapy. We are always doing exercises like pull ups or barbells and the chalk blocks rise to the challenge. They provide great great grip for bar work, kettlebell, exercise balls, wall balls, jump ropes, weights, dumbbells, climbing rope, tire flips, hammer swings, atlas stones and more! Even though they aren't allowed during the games, Jorden likes to use chalk blocks for little league practice. It gives him a great grip on the bat and adds to his confidence as as a hitter!